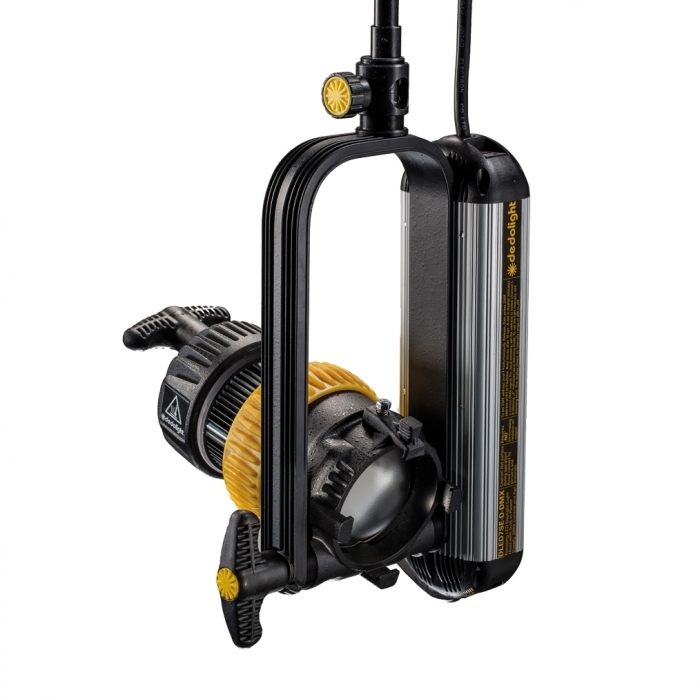 Small, compact, elegant focusing, robust with double helical focusing mechanism. Now including a very quiet active cooling system enabling the use of much higher wattage LED light sources. Provides drastically enhanced light output. Dimmable without colour shift. Comes with DMX intergrated Ballast and 16 mm (5/8") yoke fitting. Although these light heads provide significantly higher light output, and in spite of the added cooling devices, the weight of these light heads is still identical with the original DLED4, 40 W light head.